In a bowl mix together the Wensleydale & Cranberry cheese, apple, walnuts and celery. 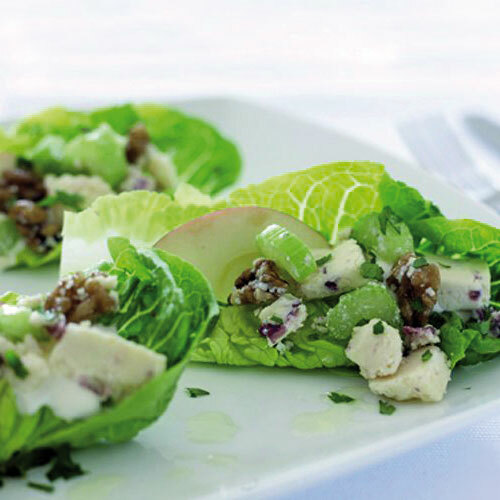 Arrange the baby gem lettuce leaves on a platter. Mix the mayonnaise and lemon juice together. Spoon a little mayonnaise over each leaf. Spoon the cheese mixture over. Garnish with parsley and serve.